BRAD DEUTSER is founder and CEO of Deutser, an award-winning management consulting firm, and the Deutser Clarity Institute, a think tank, idea accelerator, and innovative learning center. 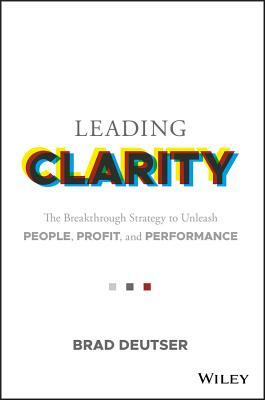 Deutser has transformed many prominent educational, healthcare, energy, industrial services, professional services, private equity, retail, and cause-based organizations through his unique perspective on organizational clarity. He is a leading business consultant, creative strategist, executive coach, and trusted counselor to top corporate leaders working to build great companies inside and out, especially during the turbulence of transition.